Have you ever owned a scented stamp? Or how about a tasty one? 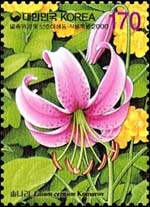 Gaining in popularity worldwide are scented stamps. Many of these novelty stamps have been issued since 1999, but back in 1973 the innovative nation of Bhutan got the ball rolling. 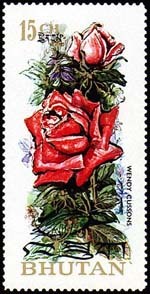 Below is a listing of the top 10 scented stamps that this philatelist is aware of. 1. Bhutan issued a series of six «roses» stamps in 1973. The first of their kind, they were rose scented. 2. 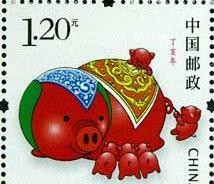 Perhaps the most bizarre is a 2007 stamp issued by China for the Year of the Pig. A cute and cuddly pig with piglets figures on the stamp, but it also smelled like sweet and sour pork, and when licked, it tasted like the famous dish! 3. Another intriguing issue: in 2001 Switzerland celebrated its most famous export-chocolate! The stamp looked like a chocolate square and smelled like one. It even came wrapped in foil. Unfortunately, this one didn’t taste like anything other than glue. 4. 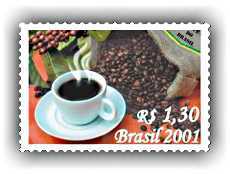 This coffee-loving philatelist’s favourite: Brazil’s 2001 coffee scented stamp. Its scent was actually made with real coffee mixed with the varnish that was applied to the stamp. Now that’s scratch-and-sniff put to good use! 5. Let’s not leave tea lovers behind though. 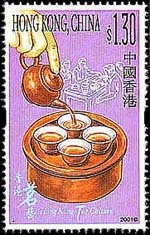 In 2001 Hong Kong commemorated tea on a series of four stamps which had the aroma of jasmine tea. A tea-rriffic experience! 6. How about a scent for a good cause? 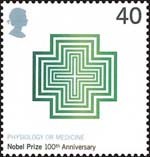 Also in 2001, Great Britain issued a stamp commemorating the Centennial of the Nobel Prize which featured a green cross (for the Medicine Prize) that was scented with healing eucalyptus. 7. 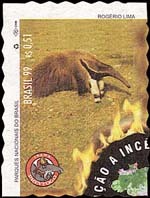 To raise awareness about the prevention and danger of forest fires, Brazil printed a series of four stamps on recycled paper that had been impregnated with the smell of burnt wood. 8. 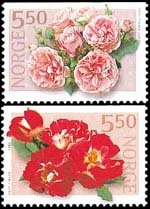 India printed a series of «roses» stamps which were scented by the aroma of the beautiful flower. Four different scents from four different kinds of roses were used. 9. Continuing in the flower theme is South Korea, which issued a pane of 12 stamps of different flowers such as lilies, orchids and hibiscus. The pane was printed on paper that gave off the scent of violets. 10. One more with a flower theme: an elegant entry from Norway depicting beautiful roses which delight the eye and the nose! I used to have some stamps I picked up in Laos that felt and smelled “soapy”. I,ve never seen any of them offered for sale. It was right b/4 Saigon fell. India also issued scented stamps and miniature sheets on sandalwood and jasmine flower. © 2019 • Arpin Philately inc.